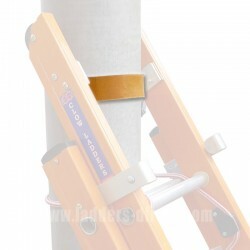 We sell ladder anti-slip stoppers, ladder protection, inspection tags and Waku accessories. Accessories There are 32 products. 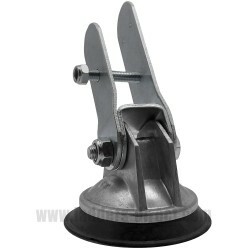 Replacement Ridge Hook and Wheels for the Clow Aluminium Roof Ladder. Availability: In-Stock. 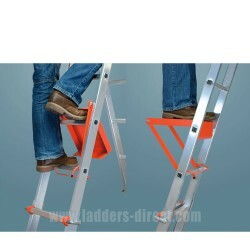 Replacement non-slip rubber feet for Clow Ladders and Steps only. Priced per pair.Please note these are not suitable for non-Clow products. Availability: In-Stock. When a ladder is to be leant against round posts or poles such as telegraph poles, the Balato Belting Pole Hoop is the perfect solution. 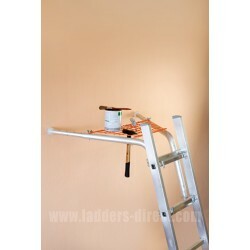 It can be fitted to most Aluminium, Glassfibre and Timber ladders. Note: This is only the replacement belt without the fittings, priced per metre. Availability: In-Stock. 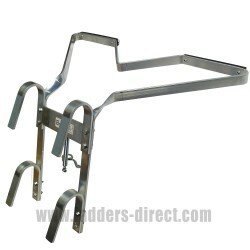 The V Shaped Ladder Stand Off Bracket fits most extension or combination ladders to give greater space when working on guttering or windowsills.Specially designed to fit round corners and over down pipes for safer working, the stand-off allows additional arm room making safe access for maintenance.Availability: In-Stock. 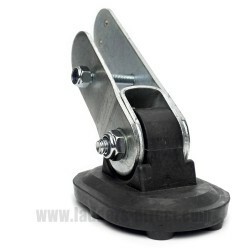 These Clow Rubber Suction Ladder Feet are mounted onto a strong swivel alloy casting and offer an excellent grip on smooth floor surfaces. 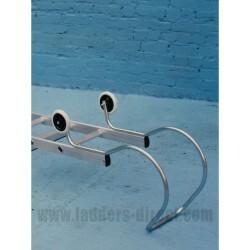 Designed to fit most Aluminium, Glassfibre and Timber ladders and Steps. Priced per pair. Availability: In-Stock. 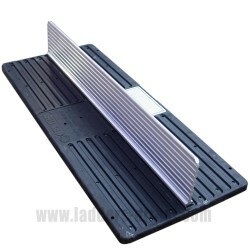 High quality Rubber Studded Rocker Ladder Feet with a rubber studded surface to prevent slippage and provide a secure grip into the ground. 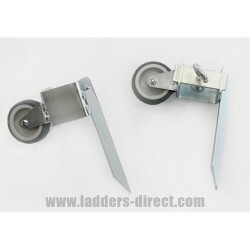 Designed to fit as an external fitting to most Aluminium, Timber and Glassfibre Ladders and Steps. Priced per pair. Availability: In-Stock.